Digital Interface / Sound Card. 3.5 Line Out Cable. 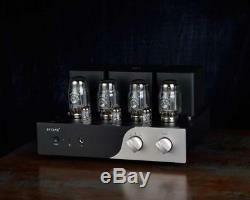 PSVANE TC1 KT88 Push-pull Vacuum Tube Amplifier Stereo HiFi Power Integrated Amp. 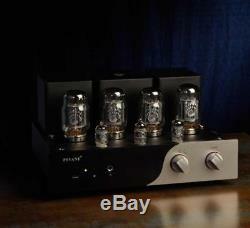 Do you need such a tube power amp? The quality, technology, grade and after-sales service are guaranteed. The Power reaches to more than 35w and makes you not be worry about acoustics. 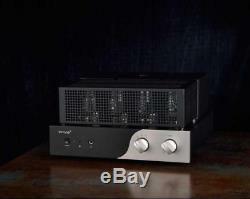 The sound effect is as good as the amplifiers which are worth 10,000 or 20,000 RMB in the market. With a full range of expressive force to music, such as jazz, symphonic music and so on. All the welding is done by hands to guarantee the voice. Never cheat the customers with a large area of the circuit board; - The enthusiasts' headphones at home still can be used. It is best to have a remote control made of mental instead of plastic material. The price should be about 6,000 RMB. 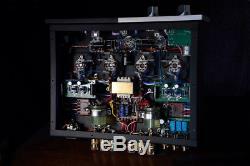 Is there a power amplifier like this? The answer is: there wasn't, but now there is! 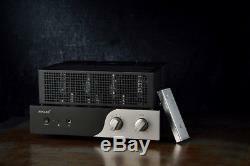 What kind of amp is PSVANE TC1 on earth? 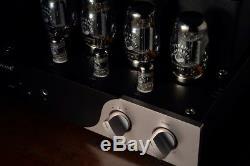 PSVANE is one of the four best tube producers in the world. WE300B and T845 are all produced by this company. Over 80% of its items are exported to abroad. The company currently is the only one that has the ability to design tubes and power amp at the same time in the globe. Its customers include the businessmen, political VIPs and artists. 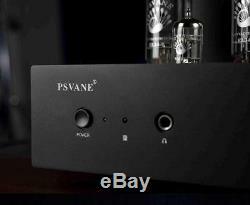 The products are well received by its fans, they said: PSVANE is a little expensive but the sound is indeed excellent! 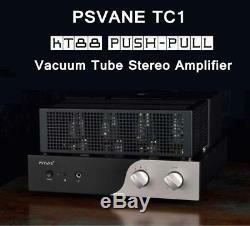 TC1, the PSVANE Heritage Series, adopts the KT88 Push-Pull amp and the power is over 35W. The item is mostly exported to Europe and South America, so we are very strict with the parameters to make it in accordance with the foreign requirements. Amp of 35W is good enough to drive any HIFI voice box in your home! It is much better than EL34 in the any aspect of the voice. If you have used TC1, you will completely subvert the KT88 Push-Pull amp in your memory. In the past, KT88 is the low price product and its voice is rough and raspy. But now we PSVANE make it different! The voice become nature and fluent at present. Thus, we can find that although the two products have different costing and customers, TC1 does inherit the voice style and the unique musicianship advantage of PSVANE and has a high performance-price ratio. TC1 is nearly a perfect amp in sound performance, standard of workmanship, function equipment and the sales price. TC1 is completely hand welded and with the same technology as other similar products. Its 30 seconds delay function fully guarantees the stability of the tube so there will not be problems after the boot. 3.5mm headphone can also be used in TC1 that makes it can be a music player sometimes. 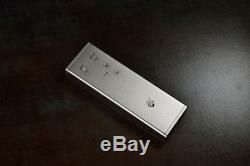 Beside, the well-made aluminium remote control has enhanced the convenience and taste of TC1. Many people may ask the same question: why does the product only sell 3000 RMB? Actually there are two ways to control the price in this industry. One is cost control and the other is scale effect. However, cost control usually makes compromises in products. Thus we chose the latter means and promise that the TC1 you got has the highest performance-price ratio voice in China. Some foreign distributors even did experiment to DIY such an item with the same price as TC1 but only found it very difficult to do it. A Completely Analysis of TC1. The soul of amps: transformers As the practitioners in this industry for several years, we got that the soul of amps must be the transformer. T845 proves that the reasons why PSVANE could make the most comprehensive and best amps in China are actually because of the transformers. For TC1, we are extremely strict with the selecting of materials. The result proves that the adopted output transformer and the power supply transformer make the sound performance rather excellent. The core of amp: Tubes. The excellent performance of TC1 largely depends on the tubes of PSVANE. 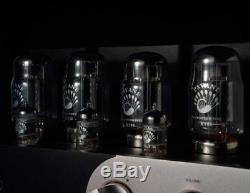 As the core of amp, the voice and the quality of the tubes decides the amp's success or failure. PSVANE, as the leading enterprise in this industry, always applies its tubes in middle- and high-level or even flagship amplifiers. Absolute Zealot's favorite Materials TC1 adopts a large number of imported components, which ranges from the large-size parts such as special coupling capacitance for advanced audio and the Electrolytic Capacitors to some key parts such as the single crystal copper and 6N copper connectors from Europe. No other components from the retail channel can compare with. Perfectly Design both inside and outside Outside, TC1 is a rare work with an excellent designing sense in the industry. There is a Chinese eight trigrams on its front aluminum panel, which well conveys the harmony, coexisting, integration and nature. These elements happened to be in accordance with music. Inside, the circuit of TC1 passed through repeated optimization and finally adjusted the sound together with transformers and tubes. In order to pay more attention to users' experience, our overseas cooperating teams didn't over-pursuit the power size but chose the way of bias controlling. That makes the work points be accurate for a very long time and it also convenient to change an advanced PSVANE tubes in the future. Other Information: the integrated detection means, the perfect package and the good after-sales service To correspond to the basic requirements of the first-class brand amp factory, TC1 has the integrated detection means and the perfect package. Whether the detection of the separated tubes and machine platform, or the static and dynamic test and the resistance of cracking and pressure of the whole machine, we do our best to give a full guarantee to our customers. At the same time, we provide PSVANE the best after-sales service on TC1: quickly, wholly and closely. Attached: technical parameters of TC1 tube amp. Output Power35+35RMS 8 Ohm Power consuption 200W Frequency Response15Hz-36KHz THD? 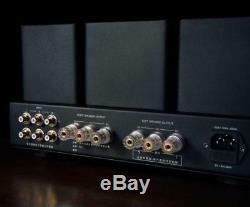 1.2%(1KHz) Input sensitivity290mV Input impedance100K Output impedance4? S/N Ratio89dB PowerAC 115/230V 50/60Hz±10% Size340W×181(H)×255(D)mm Net weight19kg Vacuum tubeKT88×412AU72×212AX7×1. How to compare with the competing products? For the same price, we get a better machine! To compare actually is easy! Moreover, TC1 applies KT88 whose price is two times as high as EL34. In order to make the KT88 tubes work normally, the advanced transformer standard should be used. Actually, it is these difficulties that create TC1. For the same type, we get cheaper price and better quality! You can compare TC1 with some other machines of the same type. The price of other products usually ranges from five to ten thousand RMB. It means our item should have been a mainstream product which is worth more than seven thousand RMB! But you can try to answer the following questions: Do these machines have a registered brand? What's their brand image? What the appearance, the workmanship and the user reports of their items? What's the condition of their inside components? Are they welded by hands? Do they provide aluminium remote control? Are they equipped with some common or interior tubes? If you try to find the answers to such questions, I believe you will get a clear judgment! Or expedited service such as EMS or DHL. (5-10 days to most countries). The postmark date is applicable. We are always willing to work out a mutually agreeable solution with our customers. The address on the parcel is NOT the return address. We are dedicated to offer the best products at the lowest price to our customers. Bringing great products and customer service. And thus help enriching our customers' lives is our ultimate goal. During holiday , pls allow us to response you early next week , kindly not leaving negtive/neutral feedback or make dispute/claim out of our working hours, thank you for your cooperation. The item "PSVANE TC1 KT88 Push-pull Vacuum Tube Amplifier Stereo HiFi Power Integrated Amp" is in sale since Wednesday, March 29, 2017. This item is in the category "Consumer Electronics\TV, Video & Home Audio\Home Audio\Receivers & Amplifiers\Amplifiers & Preamps". The seller is "doukmall" and is located in shenzhen. This item can be shipped worldwide.